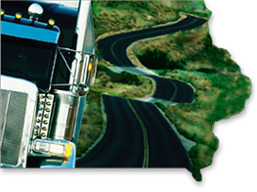 Momentum is building in the Iowa trucking industry for supporting Soy Biodiesel  and with good reason! More and more drivers and fleet managers are discovering just how great Soy Biodiesel can be for engines, for the environment and for reducing Americas dependence on foreign fuels. Better for your engine, your country and your bottom-line. ©2005 Iowa Soybean Association All rights reserved.